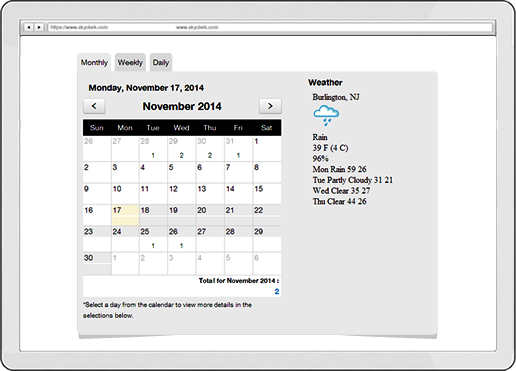 Deliver a great customer experience with anytime, anywhere access to online scheduling! 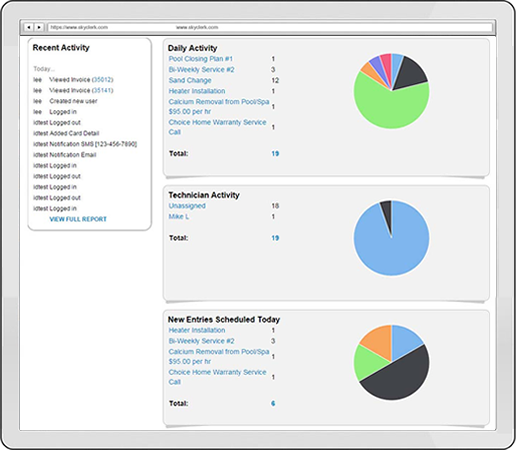 Allow customers to schedule appointments on their terms – whenever or wherever they want. Watch your calendar automatically fill up overnight, while freeing up your staff to spend more time with clients and less time going back and forth attempting to manually schedule appointments. Organize your receivables with ease. View your entire payment history or search for a specific payment by name. 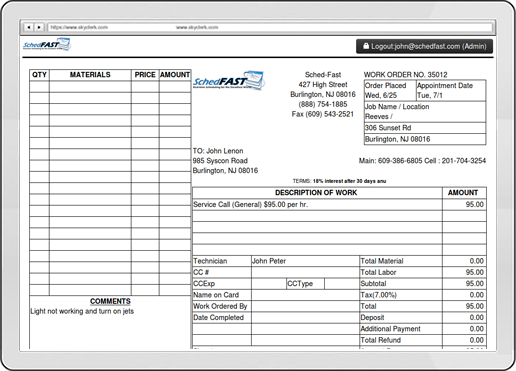 Identify when each invoice was created, viewed, changed, and signed – and by who. Keep tabs on who owes you money with automatic notifications of outstanding balances and payment tracking at a glance. 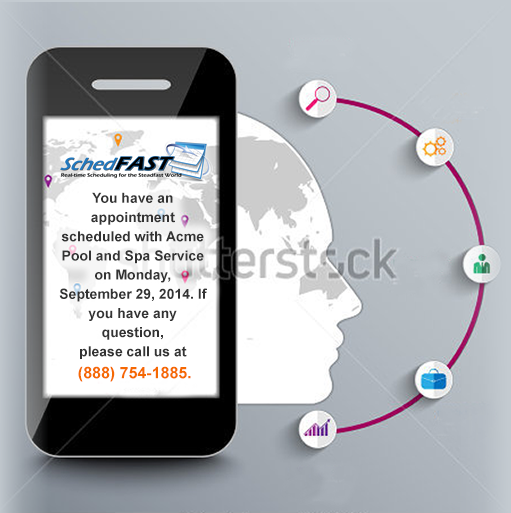 Accessible on all mobile devices, SchedFast is entirely paperless – if you want it to be. Receive email and text notifications for appointment confirmations, reminders, and whenever a payment is made. All emails and texts are automatically saved for easy access. All paid plans are subject to a one-time $700.00 setup fee. Please Contact Us to learn more. Timing is everything. Accelerate your business with SchedFAST – a one of a kind online scheduling and invoicing system designed to significantly streamline your company’s workflow. With SchedFAST, you can reduce your overhead by allowing customers to schedule their own appointments with confidence and improve your company’s cash flow through improved collections from delinquent accounts. SchedFAST is ideal for the professional and small business owners – simply select the plan specific for your business needs.